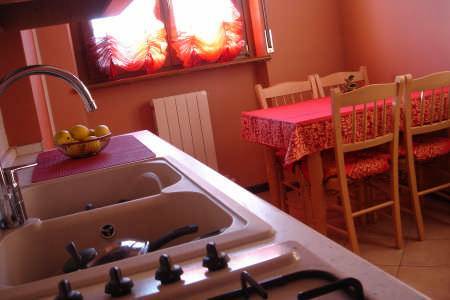 ï¿½DolceCasaï¿½ is composed of three rooms and two baths, plus a likeable one little kitchen must be able to consume the breakfast, tasting to you the sight of Castelrotto, a laughing small village placed on the top of one hill near Verona. The income, equipped of pleasant seats, can also be used for reading. Every room is equipped of Sat-TV, WiFi Internet and safe. In the baths the hair dryer is available. The italian breakfast, is self service in order not to oblige you to the timetables of our family. 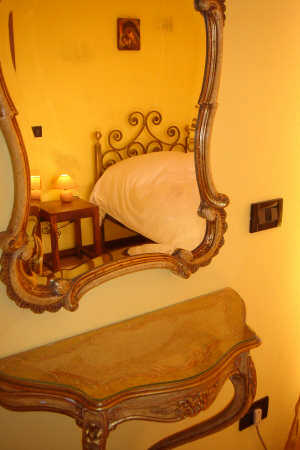 We offer: 1 Double private bedroom; 1 Single private bedroom; 1 Triple private bedroom; 1 Family bedroom (4 beds). a first glimpse of the city is love at first sight, and will entice you to come back and explore it thoroughly. For the past two thousand years and more, the city walls enclose a unique and breathtaking range of art-works and monuments. Verona is a work of art in itself: a fascinating cross-roads of historical periods and cultures (both classical and Germanic), a blend of both Nordic and "Mediterranean" influences; the city is at the same time both ancient and modern. A walk through its narrow streets allows you to get in touch with its varied and fascinating past: traces of its splendid Roman origins, its prevailing medieval structure dating back to the time of knights and castles, its magnificent Renaissance palaces as well as the impressive fortifications which protect it. A suggestive blend of art and history which continuously fascinates the onlooker. Shaped by the last Ice Age, Lake Garda has always fascinated its visitors, starting with its first visitor and enthusiast Wolfgang Goethe, who saw it in 1786. Lake Benacus (as it was called by the Romans and celebrated by one of their most illustrious poets, Catullus) is the biggest and the most typical of all of the pre-alpine lakes. Its particular shade of sky-blue and the varied landscape which surrounds it has made it unforgettable. The southern section of the lake, embraced by the gentle slopes of the Riviera of Olives, looks decidedly Mediterranean, however, just a few kilometres north where Monte Baldo rises above it, it completely changes character and turns into a narrow fiord. 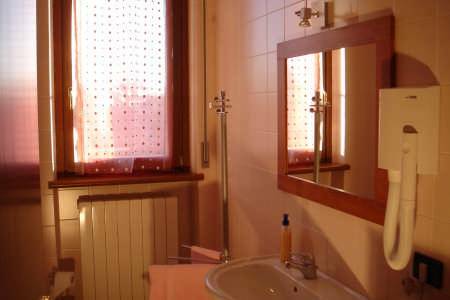 We are about 8 Km from Verona railway station. The nearest bus stop to Verona in about 50 mt. far.